The 1st Future Industry Innovation Forum in Ulsan was held at UNIST on Thursday, October 13, 2016. 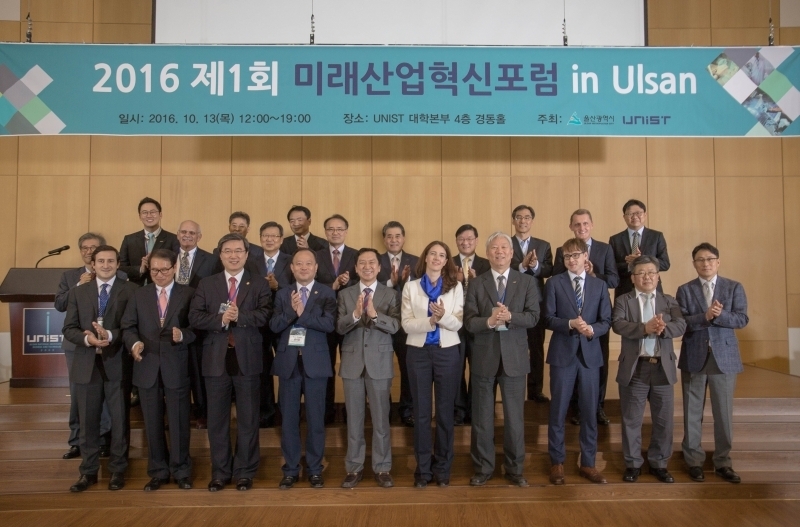 UNIST-Ulsan put their heads together for the 4th industrial revolution. 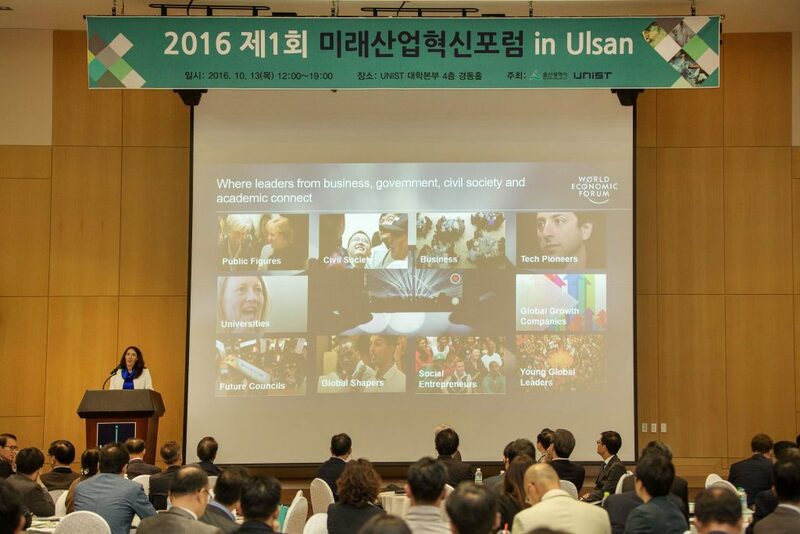 The first Future Industry Innovation Forum in Ulsan was held at UNIST on October 13, bringing together people who want no lesser a goal than a better world. The event, jointly organized by the city of Ulsan, featured a lot of discussion about the speed and breadth of the fourth industrial revolution, which they say will have tremendous impacts on our economy, our society and our culture. The 1st Future Industry Innovation Forum in Ulsan, held at UNIST on Thursday, October 13, 2016. The primary puspose of this event is to assure mutual cooperation between the World Economic Forum (WEF), also known as the “Summer Davos” and UNIST. The speakers at the forum are from world’s leading corporations and organizations, discussing how to master the Fourth Industrial Revolution. The keynote lectures of this year are given by Managing Director Helena Leurent from WEF and Commissioner Young-Sup Joo from Small and Medium Business Administration (SMBA), presenting on “Shaping the Future of Production” and “Korean SME Policy Innovation for Creative Economy” respectively. 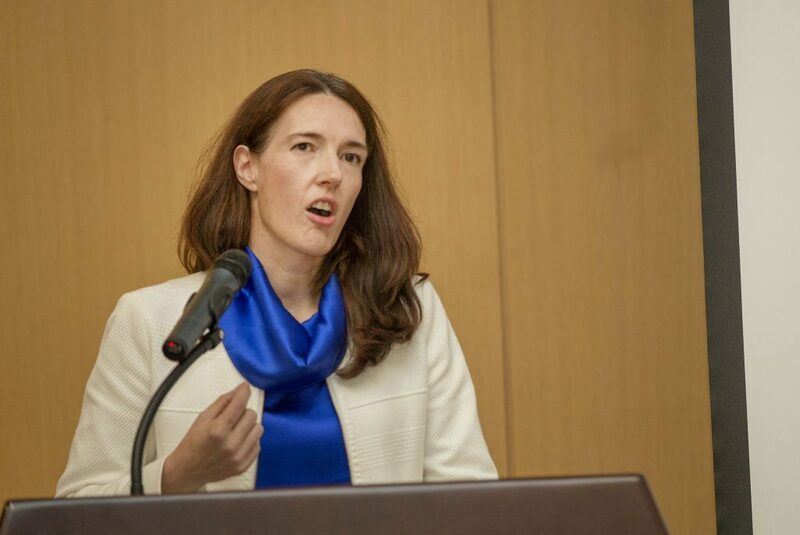 Managing Director Helena Leurent from WEF, presenting at the 1st Future Industry Innovation Forum in Ulsan. The event was attended by Mayor Gi-Hyeon Kim of Ulsan City, Chairperson Si-Cheol Yoon of Ulsan City, President Si-Young Hwang of Ulsan Development Institute, President Hwan-Doo Jung of Ulsan Economic Promotion Agency, Vice President In-Hwa Jang of POSCO, Vice President Hyun-Soo Shin of Hyundai Heavy Industry, and key officials from KAIST, POSTECH, University of Ulsan, Konkuk University, University of California, Berkeley, University of Illinois at Urbana-Champaign, North Carolina State University, as well as San Diego State University.